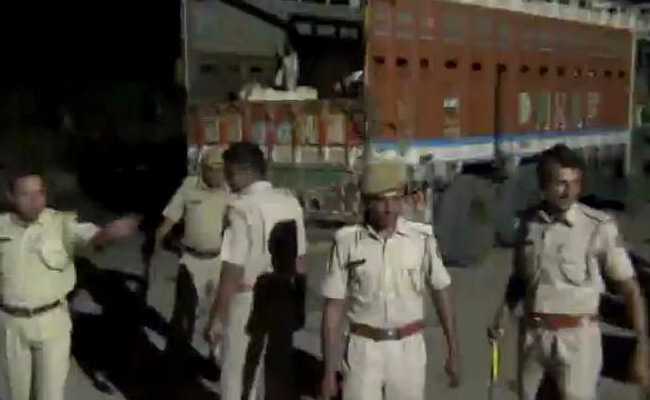 A cow vigilante group with 50 people targeted five trucks near Rajasthan’s Barmer late on Sunday, attacked drivers and tried to burn one of the trucks with cows inside. Had they succeeded, at least 10 cows and three calves would have died. The Animal Husbandry Department of Tamil Nadu government had purchased 50 cows and calves from Jaisalmer, Rajasthan and had procured NOC and all required papers and permission from authorities before transporting them in five trucks. Cows were being taken for a flagship cattle breeding programme of the BJP, “Rashtriya Gokul Mission” under Union Ministry of Agriculture. With having all the said papers and NOC. The officials were kept saying to cow vigilantes that papers are complete and please listen to us. They were all drunk and started pelting stones at us. “We told the crowd, ‘See the papers, we have all the permissions’, but they refused. They started pushing us around and beat us,” said Ghewar Ram, one of the truck drivers. The men, he alleged, were drunk. “Most of them smelled of alcohol,” he said. Rajasthan is one of several states where vigilante groups claiming to be working for the protection of cows have attacked people ferrying cattle, often accusing the animals were being taken for slaughter. On April 1, cattle trader Pehlu Khan was assaulted by similar vigilantes, who left him with injuries that claimed his life two days later. A case against 50 persons has been registered for voluntarily causing hurt to deter public servant from duty and for assault or criminal force to deter public servant from discharge of his duty and also under the National Highway Act. “The officials informed the police station immediately and sought help but the policemen reached late. On this dereliction, the SHO of Sadar Police Station and six other policemen were shunted to police lines today,” he said. SHO Jairam, Sub Inspector Dhruv Prasad, Assistant Sub Inspector Majid and two head constables and as many head constables were shunted to police lines, the SP said. The role of the police is however came under the scanner. When incident was reported first by the officials, Police took the time to reach the spot. When the mob were blocking the highway after attacking the trucks, the police was supposed to use mild force to disperse them. 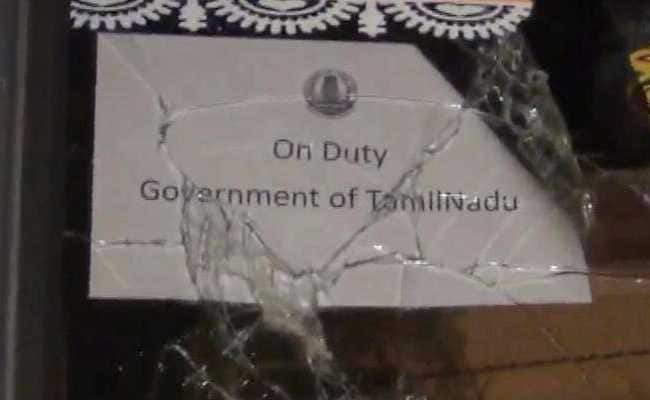 Action has been taken against seven policemen for allegedly not taking the matter seriously and reaching the spot late last night, a senior police official said.